BMW Service and Repair in Holly, MI | Armstead Automotive - Armstead Automotive Repair and Service Inc.
BMWs do provide the ultimate driving experience whether you’re driving the roads of Holly or beyond. The team of ASE-Certified auto mechanics at Armstead Automotive Repair is prepared to provide your BMW with only the best auto repair services around. 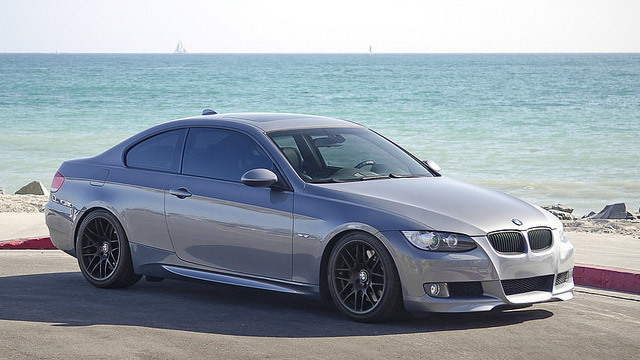 We know you won’t trust your BMW with just anyone, and we don’t blame you. We’ve worked hard to build a stellar reputation with BMW owners in and around Holly through our work ethic, knowledge base, and caring customer service. If your BMW isn’t providing you with the ultimate driving experience, let the team at Armstead Automotive Repair change that for you today! You are welcome to hang out and take advantage of our free wiFi and delicious coffee, or we are happy to help you get to where you need to be because we know you have better things to do than to keep our excellent office staff company. “Armstead offers a warranty on their work and they stand by it. I continue to be impressed by their professionalism and the quality of their work. Great company run by great people.” -- Michael C.
When you need an auto repair shop you can count on in the Holly area, Armstead Automotive Repair is your go-to solid! We have an excellent reputation for being able to fix problems that other shops find too challenging, and we back our work with a 3-year/36,000-mile in-house warranty and a 2-year/24,000-mile nationwide to give you that extra peace of mind. We pride ourselves on standing behind our work and for being there for our wonderful customers. Schedule an appointment today for BMW service and repair. We are conveniently located at 15310 Fish Lake Road, Holly, MI 48442. Our hours are 8:00 AM - 5:30 PM, Monday - Friday.